The shipping laws in the United States are complicated if you're trying to send a gift of wine. Wineries hate it as much as you do, but there are workarounds. If you live in a state where shipping is free-and-clear, yay for you! If you need to ship wine somewhere with stricter laws though, you need this page to help you shop. These wine of the month clubs will ship wine to Pennsylvania. Please send your legal inquiries to the companies directly. Overview: Garagiste is a term which describes up-and-coming winemakers who toil away creating artisanal wines in their, well not usually, garages. If you're someone who wants to be up on the latest and greatest future stars of California winemaking, try the mostly red wine selection of Garagiste wines from the Gold Medal Wine Club. What We Love: We look forward to discovering new wineries from all over California. We know we're getting very good wine at below-retail prices and helping small family businesses grow. Could Be Better: Like other Gold Medal Wine Club series, we'd really like to see more information about the winemaking and viticulture in the educational materials. 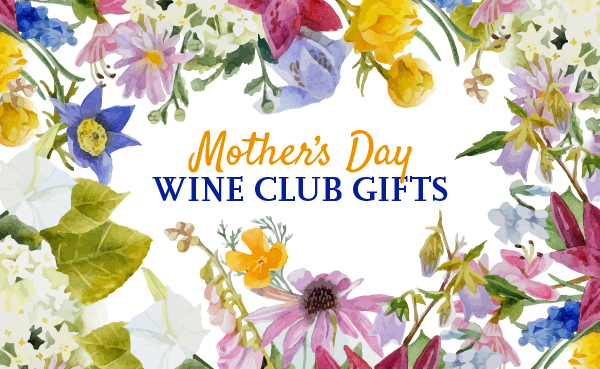 For You Join today and save $120 on your first shipment (six wines are only $9.75 each) PLUS get two bonus bottles of a Russian River Valley Pinot Noir ($50 value). Click for This Deal. Overview: We really enjoy this International wine club where each shipment contains six different wines from a single wine region somewhere in the world. Of the many clubs that offer an International selection, most aren't themed for additional wine discovery and education. What We Love: We received shipments of this wine club for years because it always kept a good variety of food-friendly and affordable wines on hand, we never opened a bottle we were disappointed with, and we feel this club offers a good quality-to-price ratio. For You Join today and save $50 on the first shipment — New members only. Click for This Deal. Overview: A personalized wine club that gets to know what kind of wine you like through a wine-preference quiz and the ratings you give for wines from previous shipments. Sends four bottles of wine that match your preferences, monthly. What We Love: Bright Cellars has amazing customer service and offers a cheese-pairing option as an add-on. We've liked each shipment better than the last, and this corresponds to seeing our Bright Points (accuracy of matching) increase, too. Could Be Better: While the wine is fine, we'd like to see a more focused adherance to selecting wines that resemble the grapes on the bottle. Typicity is a hallmark of quality wine. At $15 a bottle, great quality is rarely achievable, but better typicity would certainly increase the value being offered here. Overview: California produces some of the best wines in the world, with stunning wines to sip from up and down the extra large state, but this is not the wine club to buy them from. California Treasures ships wine at $15-17 a bottle, plus shipping, but this isn't a price-point where California wine excels. It's better in the mass-produced sub-$15 price range, and at $25+. What We Love: One of the best features of any of the Vinesse wine clubs is their tasting notes. They sometimes feel a little sparse, but you always get the basic wine information, some winemaker info, a food pairing suggestion, and most-importantly, cellaring instructions (not that we think these are cellarworthy selections). Could Be Better: It's been a while since we tried the California wine club from Vinesse, and at last check it left us disappointed. We've received a number of their other wine club's shipments recently and were quite impressed with how far the quality has come since they hired a new wine buyer. It's probably time for us to try the California Treasures club again, but in the mean time, we don't recommend it. Overview: A three-bottle sparkling wine club that makes it easy to always have bubbly on hand for a special occasion or just because bubbly wine is fun to drink. This is one of the better value wine clubs from Vinesse and we always think it makes for a great wine subscription. What We Love: We love that each shipment contains a budget-friendly selection like Prosecco, a mid-range selection like a California sparkling wine, and a true Champagne for a special occasion. Overview: While it's a misnomer to call this a Four Seasons wine club (because you actually get a fifth shipment just in time for the holidays, to bring to parties or to serve at your own), it's still a great value wine club. Designed to compete with other big name quarterly case clubs, the Vinesse Four/Five Seasons club is also tailored to the season, so you get lighter wines in the summer and heavier wines to help get you through the long winter. Could Be Better: Great value and a great track record are nothing to sneeze at, but we?? ?d like to see a better understanding of where the wines will come from. For You Join today and get a 6-piece insulated wine tote included with your third wine club shipment (a $37.95 value). Click for This Deal. Overview: A wine club with a checkered past that is working its way toward redemption, American Cellars Wine Club offers monthly 6-bottle shipments of white or red wine, or a mix. Each shipment allows you to swap out any of the six bottles and order more of the others (at member prices), or upgrade your shipment by selecting any wine in their inventory (at regular prices). What We Love: We're glad to see that Vinesse is stepping up their game, adding a deeper level of personalization and choice to their flagship wine club, as well as an easy way to opt out of a shipment online. We're also pleased that the wine quality has improved to be competitive with other wine clubs in this general price range ($12-18 a bottle). Could Be Better: We're all for cheap wine, but we really would prefer our cheap wine to actually be cheap. These prices are too steep for cheap. And, to top it off, they charge really high shipping fees.